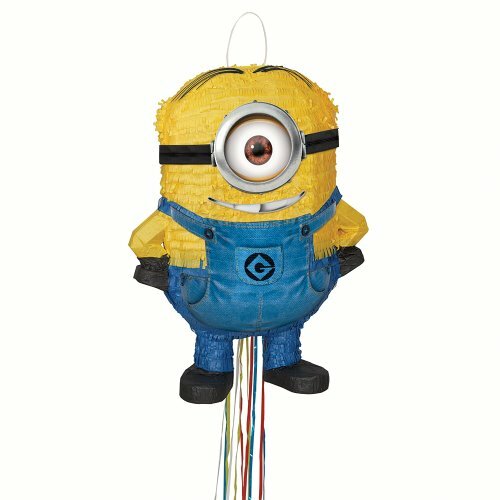 1 despicable me minion stuart pinata. Your little minions will go bananas for our adorable Despicable Me Stuart Pinata! This Despicable Me Pinata, shaped like the loveable and mischievous minion Stuart, is sure to add tons of fun to your child’s birthday or Despicable Me theme party. In this fun and safe version of the classic party game, your little Minions take turns pulling one of the 12 pull-strings to find the one that releases candy and Despicable Me party favors. Coordinate this Minion Pinata with other Despicable Me party supplies and party decorations to make your kid’s birthday party despicably delightful!